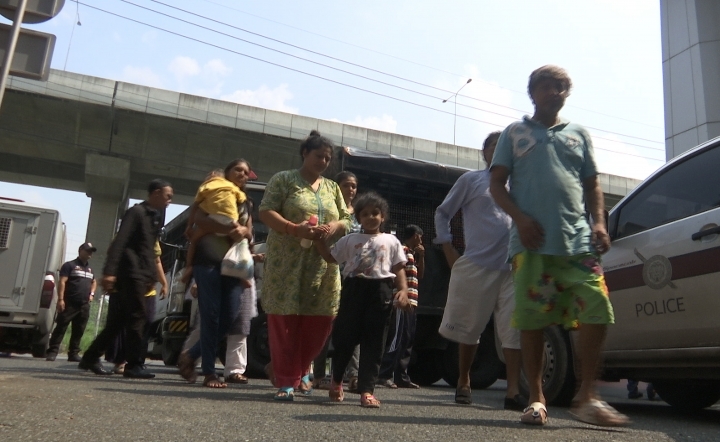 BANGKOK — Thai authorities on Thursday convicted 70 Pakistani asylum seekers of staying illegally in Thailand despite their protestations that they face persecution if they are sent home, as police intensify a crackdown on illegal immigration. The Taling Chan Provincial Court issued fines and up to two-month suspended jail sentences to the group, which was charged with overstaying their visas and illegal entry. An officer in charge of the case, who declined to be named because of office policy, said they will be held in a detention center until they are deported. The group was accompanied by 11 children who will also be held in the detention center. One of the defendants, Emmanuel Shan, said the group consists mostly of Christian Pakistanis and some Ahmadi Muslims, and that members of the two religious groups face persecution in Pakistan. "I'm Christian and my life and family are not safe back in Pakistan," he said. In 1984, predominately Muslim Pakistan enacted amendments to its constitution which punish Ahmadis who call themselves Muslims "or pose to be Muslims" with up to three years in prison. Police said 52 of the defendants were arrested Tuesday after they were found to have formed a group that smuggled Pakistani asylum seekers into Thailand with the goal of reaching other countries. 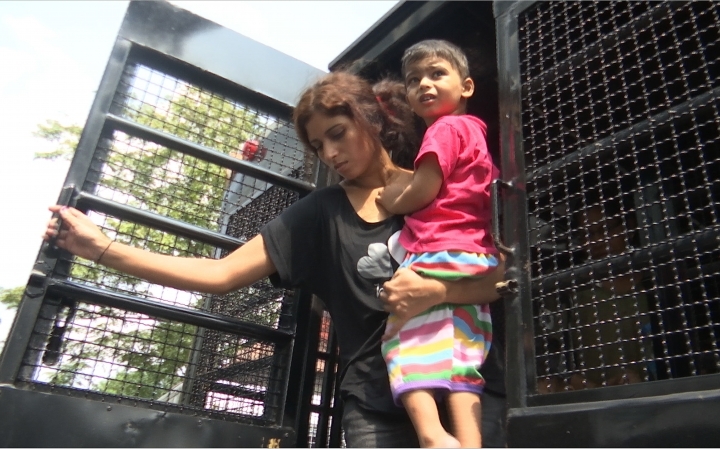 Thailand regularly deports foreigners who are in the country illegally, even if they are recognized by the United Nations as refugees who are fleeing persecution. Foreign Ministry spokeswoman Busadee Santipitaks said Thailand is not part of the United Nation's 1951 Refugee Convention and authorities have to act on violations of the law. She said the government deals with migrants with U.N. refugee status on a case-by-case basis. Phil Robertson, deputy director of Human Rights Watch's Asia division, said those who have refugee status or whose cases are being processed should not be detained. "This is a rights-abusing populist policy that denigrates Thailand and makes Thailand look cruel," Robertson said. On Monday, Thai authorities announced they would step up efforts to arrest foreigners without appropriate legal status. Lt. Gen. Kongcheep Tantravanich, spokesman for the Ministry of Defense, said Defense Minister Prawit Wongsuwan has ordered a one-month campaign to crack down on foreigners overstaying their visas. Police Lt. Gen. Suttipong Wongpin, acting commissioner of the immigration bureau, said last week that the government had instructed police to strictly enforce the law on foreigners who violate immigration law. Separately on Thursday, immigration police said they charged 24 foreigners with overstaying their visas and 11 others with illegal entry.